Metal Condition: Mint with very fine full coverage scroll engraving with small floral bouquets. Wood Condition: Near Mint with a couple of very light handling marks. Barrels: 27 Inch chopper lump barrels. Extras: Comes with a leather fitted hard case. Extras: With case and Briley chokes. 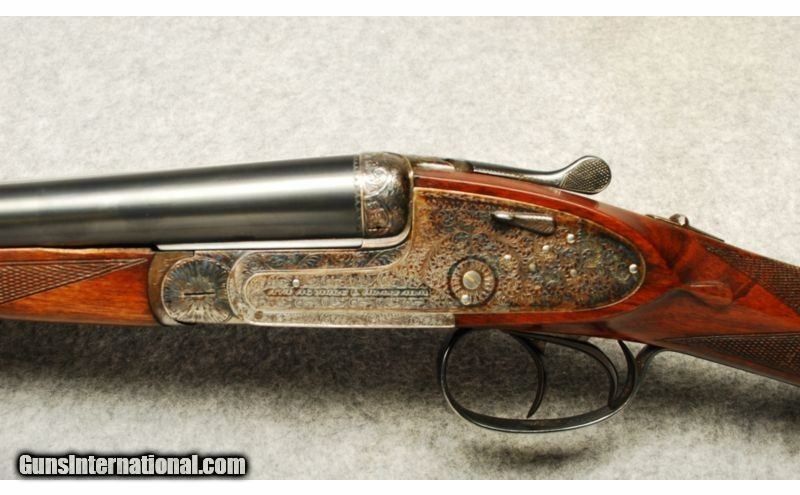 BERETTA – Model 410 – 10ga 3-1/2″ Magnum SxS – Late Model: Probably the Toughest 10ga 3-1/2″ Magnum SxS ever produced. Easily the best for the money. 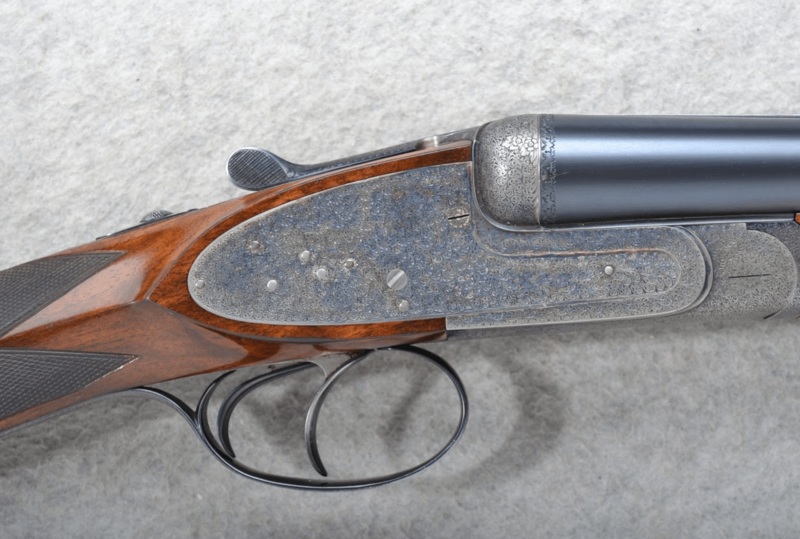 1971 – Beretta Model 410 – 10ga, 3-1/2″ Magnum, 31-1/2″ Full / Full -Hand Engraved, Raised Solid Rib, Rib Extension Third Bite, Double Triggers – Front Articulated, LOP 14-1/4″, Drop 1-3/8″ to 2-3/8″, Weight 9 lbs. 8 oz. 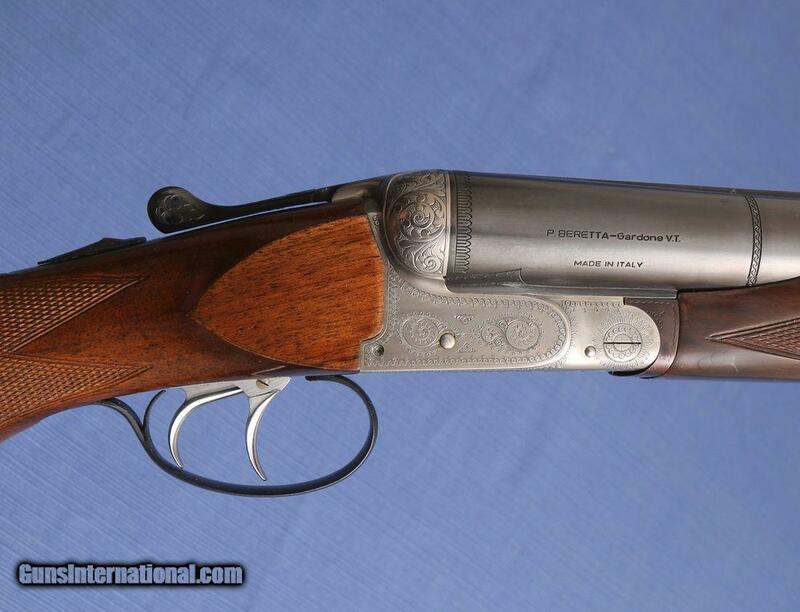 Has the look and feel of a Brand New gun. Appears unfired. Bores are chrome lined and perfect. There are a couple of minor marks on the barrels, otherwise As New.